Indian Premiere league cricket is the Twenty20 format League cricket tournament played by 8 teams, but this year 2 more teams; Sahara Pune Warriors and IPL Kochi will enter in 4th Season of IPL. The IPL 4 Auction is scheduled in Bangalore from 8th January to 9th January, 2011. You can catch the live stream of the IPL 4 Auction on Set Max. No one knows the name of players who will lead the teams, only time will tell. Every secret will be opened at IPL 4 auctions, so be ready to enjoy it at set max channel. 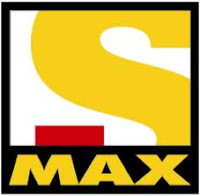 Set Max is the official broadcaster of IPL 4 and this time, it also got the chance to telecast IPL 4 auction live. Each match of IPL is telecasted live on Set Max for all cricket fans. More than 350 players will take part in the Auctions with their reserve price. IPL 4 price tag has been divided between $400,000 and $100000 base price. Total teams would conflict in the IPL 4 auctions to purchase best players. At the IPL auction, Set Max will have cricket experts and judges who will share their insights in live wrap around the show. Maybe this time you will not see your favorite players on their previous teams, because the format of IPL auctions will be totally changed, all players will seat in Auctions bidding. The selection of players may be based on the player’s last performance, so the best players of the last season like Ms Dhoni, sachin, warner, Kalis, yusuf pathan, malinga, pollard etc., may be stand on top in IPL Auctions bidding. Players of the last time winner team Chennai Super Kings and first runner team Mumbai Indian including MS Dhoni (India), M Vijay (India), Suresh Raina (India), Albie Morkel (South Africa), Sachin Tendulkar (India), Harbhajan Singh (India), Lasith Malinga (Sri Lanka),and Kieron Pollard (West Indies) are already retained by franchise. You will definitely see all these players in the next IPL season 4, but it is not confirmed that these players will be purchased by their team. Maybe this time the Indian team and former Chennai Super Kings’ captain Mahendra Singh Dhoni will get the highest bidding of IPL season 4. Other four players, Royal Challengers Bangalore’s Virat Kohli, Delhi Daredevils’s Virendra Sehwag, and Rajastha royals’ Shane Watson and Shane Warne are also confirmed by the franchise team. There are also predictions about Rahul Dravid, Anil Kumble, Robin Uthappa, R Vinay Kumar, Gautam Gambhir, Shikhar Dhawan, Ross Taylor, AB de Villiers, Jacques Kallis, David Warner, Paul Collingwood and Darren Bravo that they are the 2011 Squad of RCB (Royal Challengers Banglore). The spending cap for each franchise have been also decided and it is same for the Deccan Charger, Kings XI Punjab, Kolkata Knighriders, Sahara Pune Warriors, and IPL Kochi i.e. $9 million. While spending cap for Royal Challengers Bangalore & Delhi Daredevils is $7.2 million, and for Rajasthan Royals $5.9 million and for Chennai Super kings and Mumbai Indians $4.5 million. Now all franchise is busy in calculation of different strategies to purchase a new group of players which will be the best. The main factor of the selection procedure is that the members of team must be in pattern of 8 experienced franchises and 2 fresh franchises.